As most people know by now, the European Union’s General Data Protection Regulation (GDPR) became active in May. For those who refuse to follow the rules, stiff penalties and fines await. But even if you haven’t taken the steps to become compliant, you can still make it happen. In January 2012, the European Commission set out to develop plans for data protection reform across the entirety of the European Union. They foresaw the growing threats of the future and wanted to ensure Europe was prepared for the digital age. In 2016, an agreement was reached; one of the key components of this agreement is the General Data Protection Regulation (GDPR), which applies to any organization that does business inside the EU or with customers in the EU. 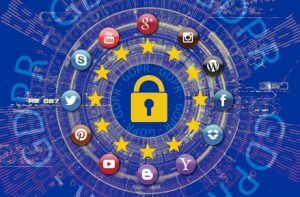 “At its core, GDPR is a new set of rules designed to give EU citizens more control over their personal data. It aims to simplify the regulatory environment for business so both citizens and businesses in the European Union can fully benefit from the digital economy,” Arbour Group explains. When businesses ignore compliance, it’s usually because of the cost involved. Just make sure you realize that avoiding compliance is typically more expensive than succumbing to the requirements. The stakes are significant and you need to pay attention. 2. Recognize the Difference Between Security and Privacy. Sloshberg uses the example of a house. Security is like locking the windows to your home, while privacy is having the ability to draw the shades. GDPR compliance is about enforcing the right privacy principles through the strategic use of technology and actions. 3. Minimize Your Data Footprint. More data means more problems. By minimizing your data footprint and limiting what information you collect, store, and process, you can reduce your responsibilities and lower risk across the board. 4. Create the Right Privacy Polices and Notices. In an effort to be GDPR compliant, you’ll need to develop a set of policies and notices that asks for consent and helps people understand how their information is used. It’s advised that you consult with an attorney or in-house legal team to create polices that are simple, concise, and clear, while still following GDPR requirements. 5. Develop Procedures for Handling Breaches. If your company does experience a data breach, it’s important that you have specific, documented procedures for handling it. Not only do you need systems in place, but you also need to ensure your employees understand their roles and are held accountable for how they respond. This isn’t something one person can do – it requires a team effort. As the internet continues to tear down the borders of global commerce, you can no longer remain solely focused on the domestic marketplace. And in order to become competitive in international markets, you must adhere to new regulations that prioritize data security and make the ecommerce world safer for all parties involved. The GDPR is just a start – but it’s important, nonetheless.